The Doors’ career was a peculiar one. Beginning as a fairly standard Los Angeles RnB and blues band – their cover of Them’s Gloria was always a live highpoint – they entered the national consciousness as a pop group, thanks to the catchiness of singles like Hello, I Love You and the raw brooding unbridled shagnastiness of singer Jim Morrison. As time went by – which it did in LSD-slowed rapidity in those days – The Doors evolved into something far stranger, all baroque and creepy with lyrics about lizard kings and oedipal murder. Morrison’s behaviour became more extreme and/or irritating (depending on your point of view), and he was well on the path to becoming either a rock legend or an idiot, exposing himself to audiences, being arrested, and finally, just before the release of this album, retiring from live performance and moving to Paris. There he died, in the summer of 1971, just weeks after this album’s release. His grave has been a flame to Morrison-obsessed moths ever since. L.A. Woman, the album he left behind – the last record by The Doors with their original singer (since then they’ve worked with everyone from Ian McCulloch to Ian Astbury; and they even, according to Astbury, tried out Iggy Pop) – is, perhaps surprisingly, one of their best. Of its 10 tracks, six are regularly featured on compilations and three or four are certifiable classics. The title-track is a rocker so brilliant it forms the chassis of Billy Idol’s White Wedding, and is the speediest epic The Doors ever put on vinyl; elsewhere, there’s the gorgeous, tumbling Love Her Madly, and the grungey The WASP (Texas Radio and the Big Beat). And, of course, this set houses that favourite of backpacking European students everywhere, Riders on the Storm, which dominated American FM radio in the 1970s and continues to do so. Perhaps this album’s quality shouldn’t be a shock, though: with a stripped-down yet full sound, a developed mysticism tied tightly to the band’s brand of rock, and confidence born of having been a functioning unit for several years, all the ingredients were in place for a brilliant end product. 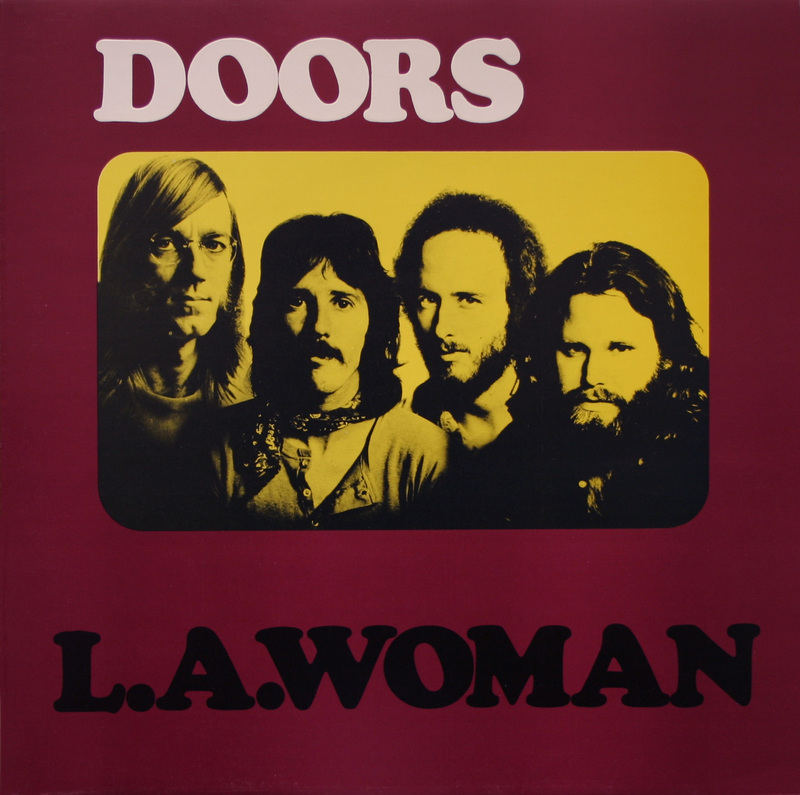 And, with its harder edge, its hindsight-laden sense of imminent loss and its sheer dirtiness, L.A. Woman comprises a brilliant bridge between the floral madness of the 1960s and the tougher decade to come.